2. Favorite thing about blogging: Meeting new friends, both in person and online. Read about a couple of them here and here, if you like. 4. 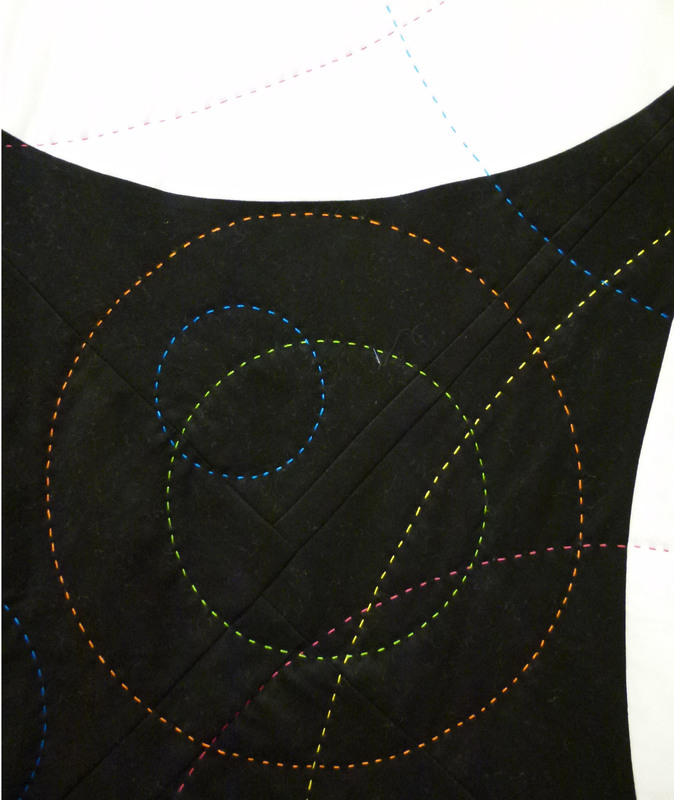 Favorite new (to me) quilt tool: Frixion pen. It comes in lots of colors and erases when you iron over the markings. Only drawback I’ve found is that you can’t see the mark on dark fabric. For that I still love my chaco liner with yellow chalk. Show below: chaco liners on left, frixion pens on right. 5. 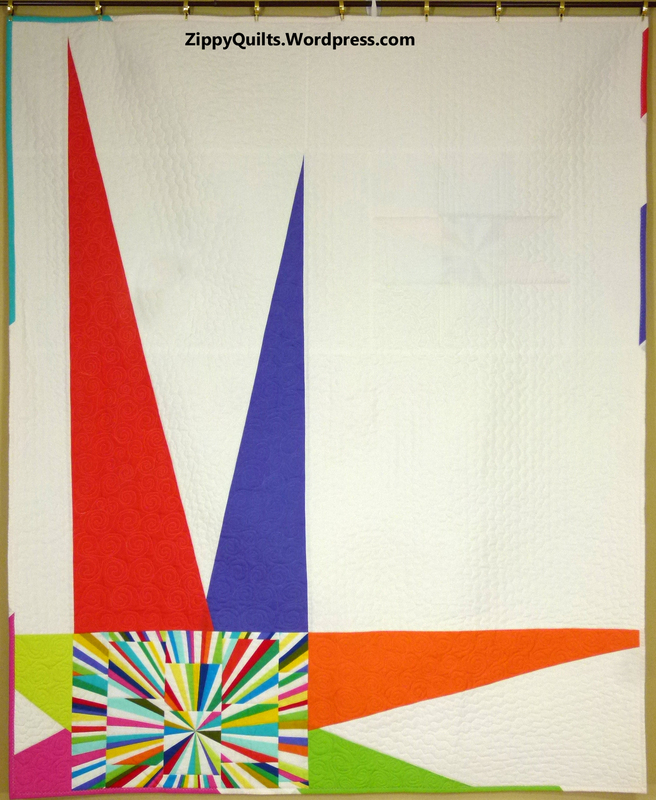 Favorite lesson learned: I’d rather see my designs in print than at quilt shows. Yes, I entered several shows and contests, and I won something. 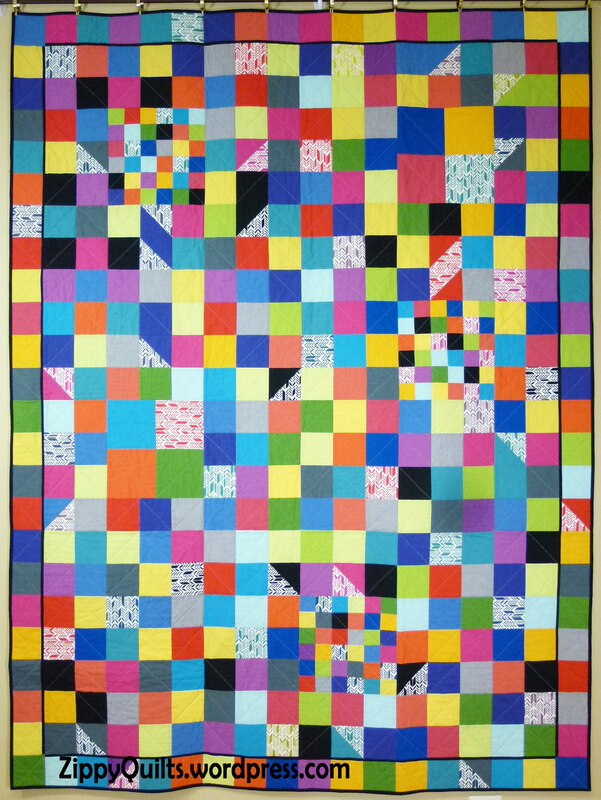 But my favorite quilt of the year (from those I made) was the one that was published in Modern Quilts Unlimited. So here is a picture of it again. And what were your favorites of the year? 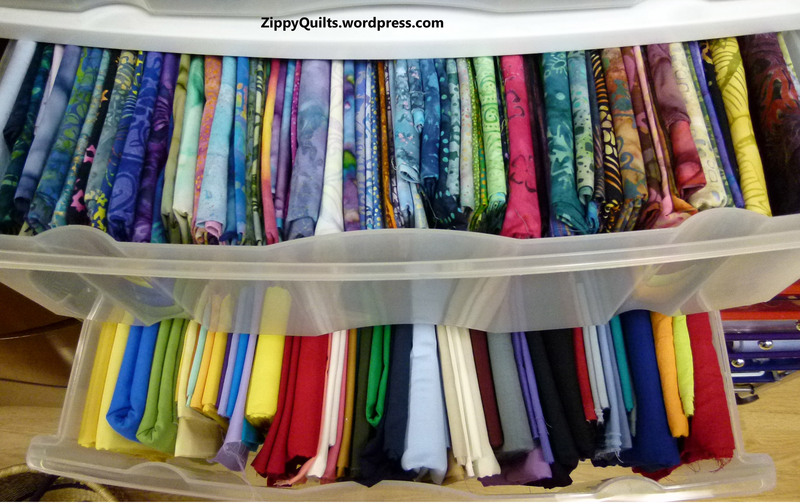 Several of the blogs I read have been focused lately on purging unwanted fabrics from the stash. It sounds like a good idea. Mind you, I still think it’s important to have a good stash. But at this point it should be a little more curated than it is! Lots of stash–how much fits my current needs? 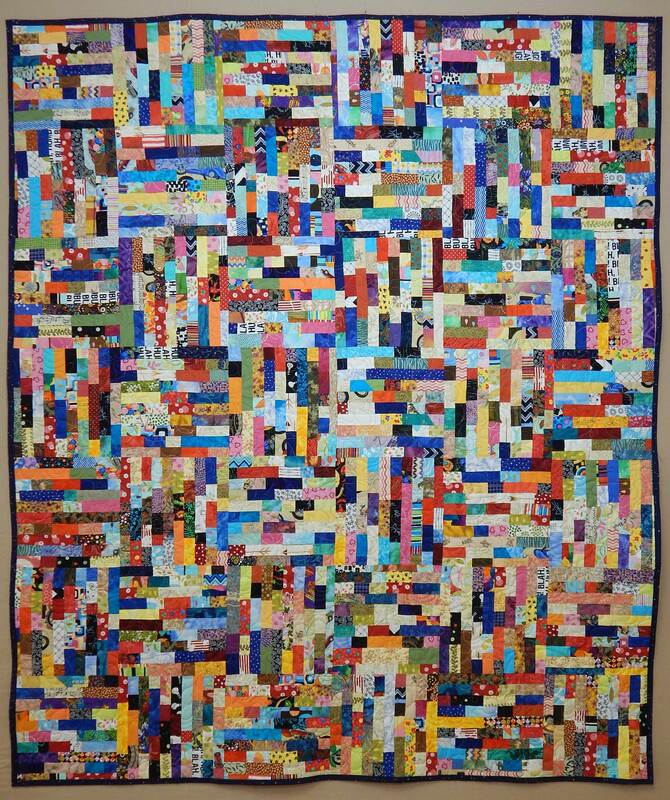 One woman even tore her unwanted fabric into strips and made rag rugs. Yikes! 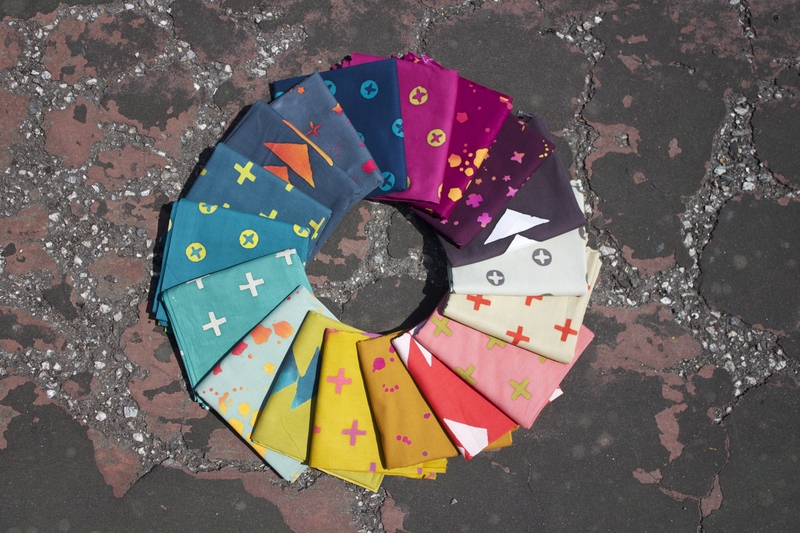 So here’s my first de-stash: Fabrics that don’t have a nice “hand”, or feel. Maybe they’re cheaply made, but maybe not. Anyway they don’t feel good so I don’t want to work with them. 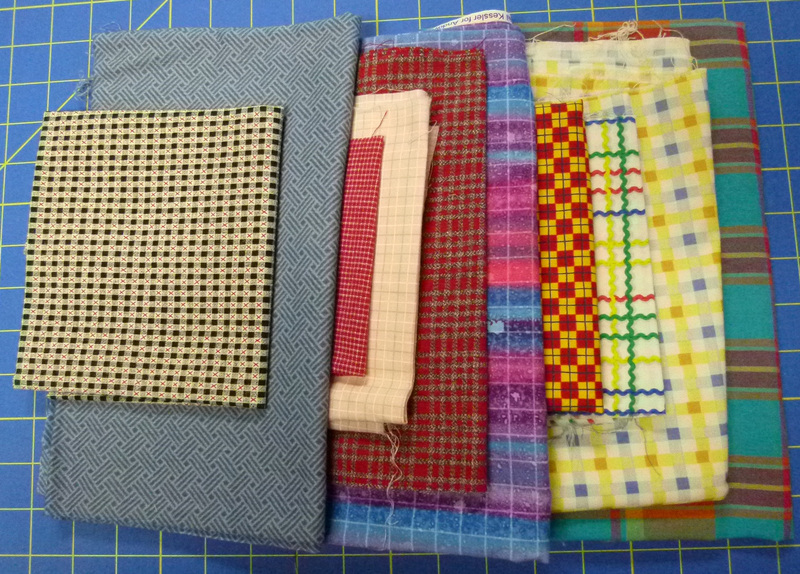 And here’s my second de-stash: Plaids. 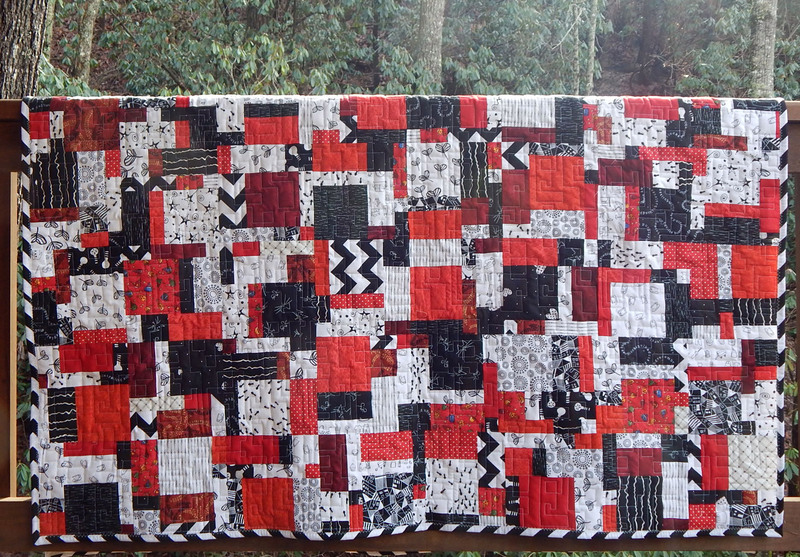 I’ve made multiple plaid quilts and enjoyed them, but enough is enough already! 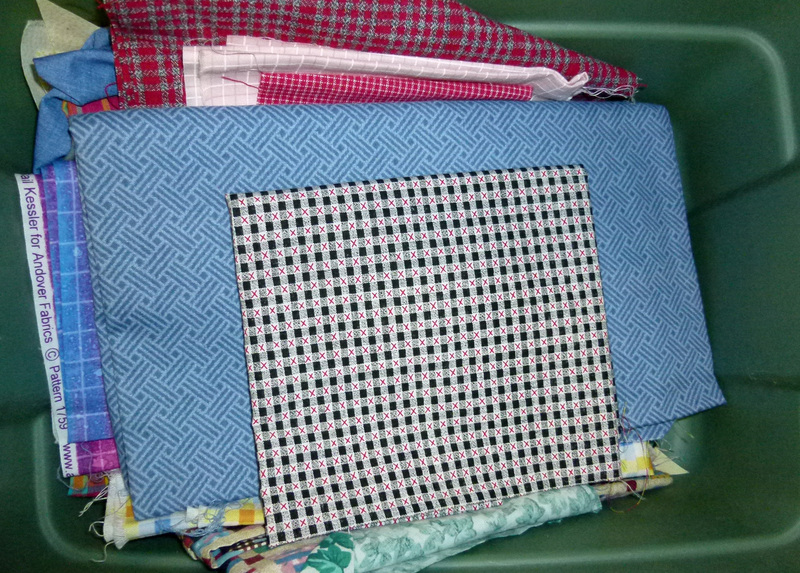 The plaids will go to my sewing buddies if they want them; otherwise I’ll donate them. These plaids have to GO! And what about you? Any plans to de-stash? How?